Piercings have become a very popular cultural norm in the past few decades. Whether you have been dreaming about starting your piercing collection, you are concerned about the possibility of infection, or you are concerned about a piercing rejecting, we have some important tips on how to minimize your risk and make your piercing experience enjoyable. More people from all walks of life are choosing to pierce various parts of their body to enhance their features and show off personal style. For best results, you should visit an experienced professional piercer that can thoroughly go over all healing information including the potential issues. A professional piercer knows exactly which type of metals, piercing tools, and jewelry sizes to use. After getting your new piercing, you will be sent home with clear instructions on how to do proper piercing aftercare. This is incredibly important to avoid rejection. Everyone’s body reacts differently to getting a piercing, and rejection is possible with every piercing. With a vigilant aftercare routine, you’re helping your body in the process of healing the new piercing wound, and keeping that piercing healthy and in place for years to come. Despite meticulous care, sometimes piercing wounds do not heal properly. One issue seen with various surface piercings is rejection. Your skin is the largest organ of your body and it acts as the first line of defense when it comes to keeping invaders out of the body. A new piercing and the piece of jewelry in it can trigger a response and provoke your body to heal the area. This can mean accepting it and healing your beautiful new piercing or your body can perceive the jewelry as a foreign object and try to push it outwards. This is most common with surface piercings such as navels, eyebrows, surface piercings, and dermals. Eventually, the skin can become so thin that the jewelry can be pushed out completely. Early detection of piercing rejection is important to reduce the possibility of infection or scarring. One clear sign of rejection is when you notice your jewelry moving away from your body, or your piercing seems to have less skin holding it in than it did before. Sometimes you can see where the piercing started and then a line going to where it sits now. When your body rejects a piercing, you may experience uncomfortable issues such as redness and soreness. If you think your body is rejecting a piercing, you should contact your piercer and discuss the best solution. Though it is most often recommended to remove the jewelry, sometimes piercing rejection can be stopped by inserting a different metal or size of jewelry in the pierced area. If you show signs of a concerning infection, seek advice from a medical professional. If you have any piercing-related questions or are ready to add to your piercing collection, contact Almost Famous Body Piercing today. 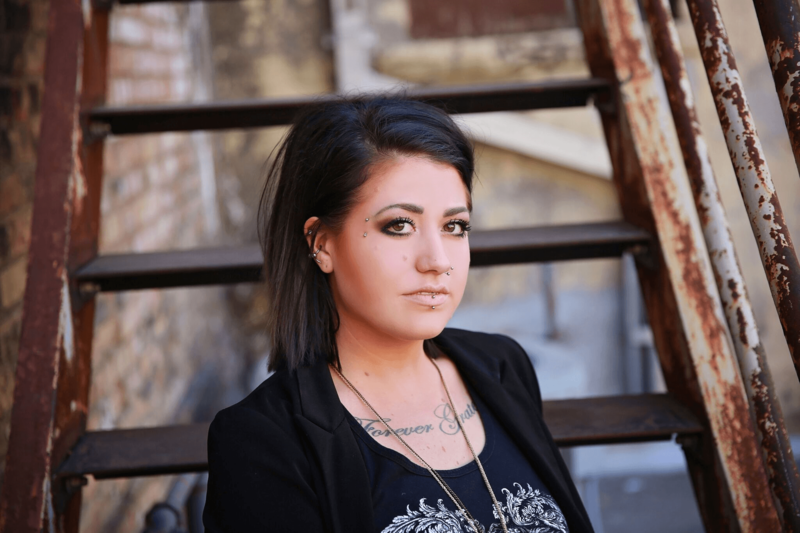 Our friendly, experienced professional staff is here to help you with all of your piercing needs.